The Ivors Academy Gold Badge, which celebrates outstanding individuals who have supported songwriters and composers in the UK, will take place on Friday 11th October from 11:30. Presented since 1974, The Ivors Academy Gold Badge honours exceptional people from right across the music industry. Each year we invite Academy members to nominate individuals to receive a Gold Badge in recognition of their support of the music creator community. 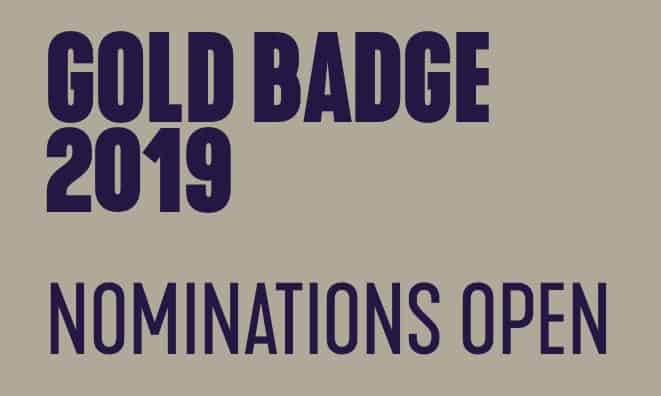 Over the years, the annual Gold Badge has acknowledged hundreds of inspiring and influential individuals, from music publishers and managers, to broadcasters, producers and creators themselves. Nominations are currently open. If you are an Academy member and you would like to nominate someone you can do so by visiting the Members Area, ahead of the deadline on Friday 3rd May.